Group portrait of members of the fraternity dressed in old-fashioned garb for a play. Back row, left to right: William Horace Greely in black-face (Bowdoin 1890), Willard Woodbury Woodman (Bowdoin 1888), Warren Rufus Smith with a false beard (Bowdoin 1890). 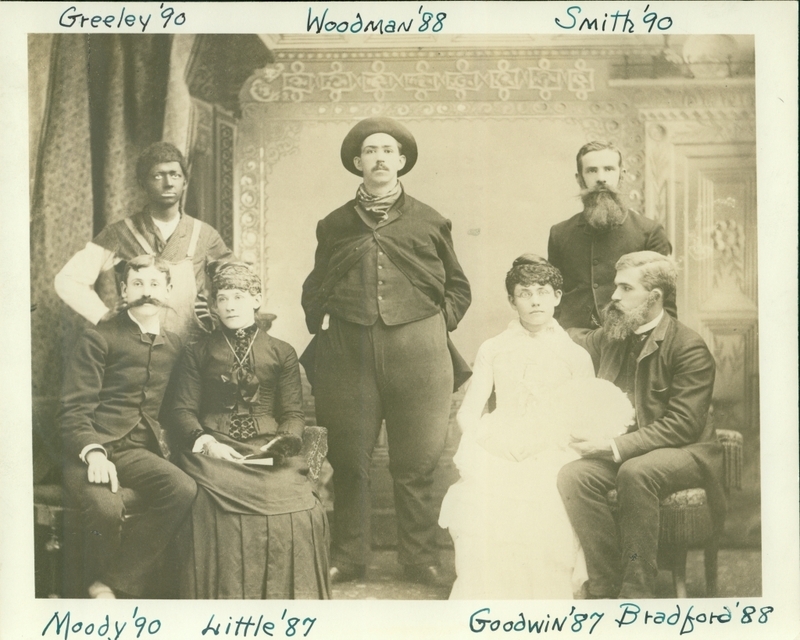 Front row, left to right: John Marshal Washburn Moody with a false mustache(Bowdoin 1890), Edward Toppan Little as a woman (Bowdoin 1887), Charles Jacques Goodwin also as a woman (Bowdoin 1887), William Herbert Bradford with a false beard (Bowdoin 1888).